Long weekend project…. 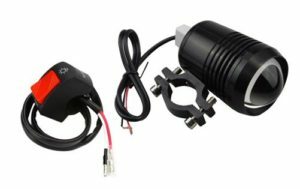 Got a pair of these LED fog lights for my bike and a handlebar on-off light switch. Was figuring out where to put the light switch as my handlebar has no more space… So ended up installing the switch on the engine crash bar instead – just beside the LED fog light. 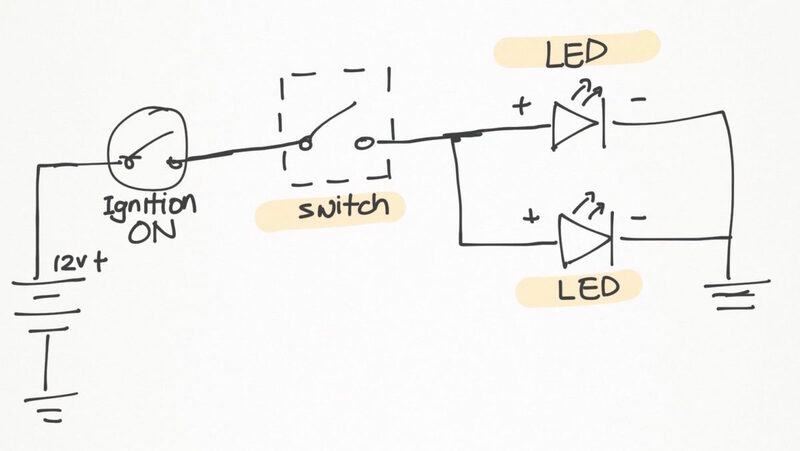 For those who may be technically interested, the LED fog has 3 modes – high, low, and flashing. Draws 850mA on high, about 250mA on low, and approximately 480mA on flashing mode. So my 5A fuse provision for this is definitely way more than enough. 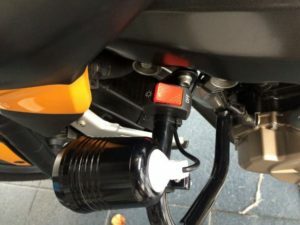 Location of installed switch – no place on handlebar to mount switch. Quite frankly, if you’re “new to wirings” and not familiar with electrical schematics, I’d strongly recommend that you get someone else who’s familiar to install it for you. Messing with your bike’s electrical system while not knowing what you’re doing may not be too good an idea. The entire bike frame is “negative”. Just find a nearby metal bolt and connect your “negative” terminal there. Hi I’ve a 200ns also. Am planning to fix flood lights in the same position also. White L.e.d 27w each. So should I worry about fuse situation? If they indeed are TRUE 27w LEDs, that translates to a slightly over 2A current draw per LED – a pretty significant amount of current. Yes, I would definitely include an inline fuse for circuit protection. I hope you connected a switch? Otherwise, that would mean that your fogs will always be turned on. Also, I would have connected a fuse in series. That would be to protect the wiring in the event of a short circuit. If it’s “working properly” like you mentioned, it probably should do. Biggest issue with wiring it directly to the battery is that some naughty hands (or your own absent mindedness for that matter) could switch on your fogs even if your bike is turned off. This would deplete your battery and leave you stranded or having to push start your bike. I installed one on mine. It’s good to have. i jus buy my new pulsar ns 200 and planning to modify it but i don’t understand what changes should i make on my ns 200, my budget is 5000,,, can u plz help me what should i do? Personally, I would do whatever pleases you that your budget would allow. I’m from Singapore, but I suspect I can’t say the same for you. Coz for SGD5000, you can get an amazingly awful lot of stuff at that budget!! The bike is already great as it is. Question really is – what do YOU want to add? Keep it stock… until you find something that bothers you enough to modify. How to switch between the three mods? I mean how do we select low beam, high beam and strobe? You change the mode by cycling the power off and on again. hi! where to put the fuse? after switch or before? As near to the power source as possible. Next Next post: Hazard light switches have arrived! 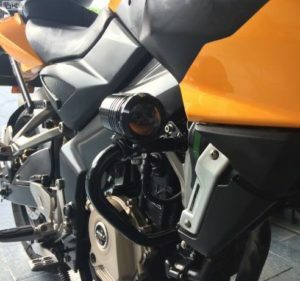 ← Remote Controlled Alarm install on Pulsar 200NS ← Hazard light switches have arrived!